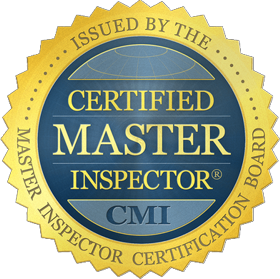 When Your Miami Commercial Property Values Count, You Can Count On Our Building Inspection Services! You can take a big risk or small risk when purchasing or leasing Miami commercial real estate. A "big risk" is going into your purchase or lease completely blind and unaware of any damage and defects to the property's systems and structure. By not knowing the condition of your property, you also risk losing a lot of money in both the short-term and long-term. In fact, the longer a building's systems sit without having been used, the more likely it is that they are to break in the short term due to eroding parts and components. In the long-term, a Miami Commercial Property Inspection report that is generated today can provide you with valuable foresight to make good maintenance decisions about your Miami commercial real estate purchase or lease. With over a decade of experience in building inspections, South East Building Consultants not only understands how a building should work, we also understand why it should work whether you are a real estate investor, an expansion manager for your company, or someone who has big dreams of national growth. South East Building Consultants is certified to perform Thermographic (Infrared) inspections in commercial and industrial properties in Miami. Our ability to see beyond what the naked eye can see improves the quality of our inspections and the accuracy of your report. In turn, you will be able to make more-accurate buyer-seller decisions based on a greater level of accuracy and accountability.